Maintaining good hand hygiene is something we should all do on a daily basis, after all, we eat food and visit the toilet everyday and washing hands should be a ritual before and after each time. In certain industries hand washing is required more often and following hand hygiene is strict protocol. Commercial environments in particular should promote the importance of hand hygiene. Here’s why we think it’s so important and how you can improve washroom hygiene in your business. Why is hand hygiene important in commercial environments? 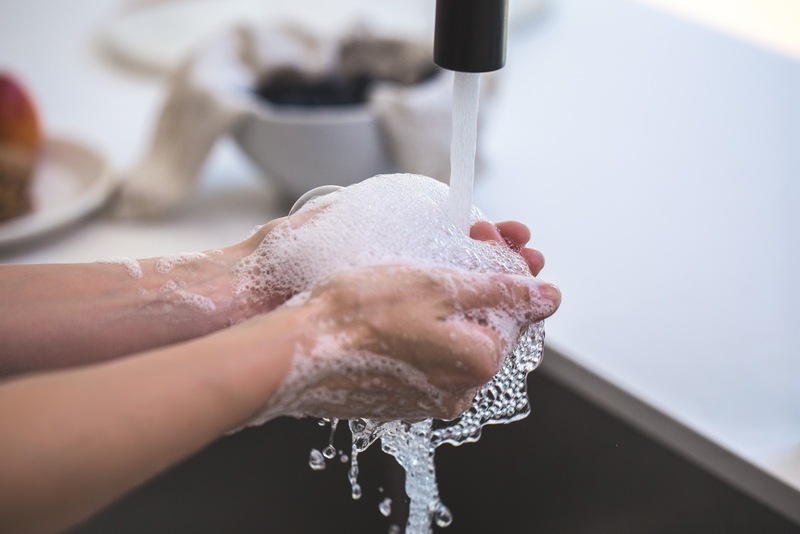 Commercial settings and environments that are regularly occupied by a large number of people have a responsibility to provide hand washing facilities that meet health and safety standards. Whether it’s a hospital, restaurant, or office, nasty bugs have a tendency to spread far and wide and, as a business, you could find yourself in a difficult position when your workforce is struck with flu or a customer gets sick. A lack of adequate hand hygiene facilities can lead to this, but it can be prevented simply with washing and drying hands properly. There are many types of microbes that can spread through the hands and cause a range of illnesses from colds to food poisoning, or even serious superbugs such as MRSA. These risks are increased in commercial environments because of the large volumes of traffic that are using the washroom and eating facilities on a regular basis. Even touching surfaces around the building can lead to a build up of germs and bacteria which are left to fester if not washed away. What can be done to ensure proper hand hygiene in your commercial building? Hand dryers have evolved to become more hygienic over the years. Blow Motion hand dryers are fitted with HEPA filters to clean the air of bacteria so that only fresh, clean air is blown on the hands. We also use jet blade technology to powerfully and thoroughly dry the hands. The waste water collection tank on the Ninja Jet Blade Hand Dryer contains the contaminated water and allows it to be disposed of hygienically. A hygienic hand dryer is a must in your washroom as it contributes to effective hand hygiene and minimises the spread of illnesses. Browse our range of hygienic hand dryers and order yours today or give us a call on 0800 002 9678 to find out more.